Jay Arnesen is a retired police officer who now dedicates his life to defending citizens charged with criminal offenses, including assault, battery, and stalking in Sunrise, Miramar, and Pembroke Pines. In fact, Mr. Arnesen has offices conveniently located in Fort Lauderdale and Boca Raton and appears in courts throughout South Florida on a daily basis. In addition, Mr. Arnesen trained alongside the FBI, DEA, NYPD, and US Customs. and he now uses that training and experience to defend his clients in court. Contact our offices anytime at 754-581-8782 for immediate assistance. The initial consultation is always provided free of charge. It is important to understand what charges you are facing after an alleged domestic violence incident. If there was an arrest, criminal charges must have been filed. As part of these criminal charges, there is often a “no contact order” attached to the bail. This means that the defendant is prohibited from having any contact with the victim while the charges are pending. Also, a civil restraining order may have been filed in addition to any criminal charges. 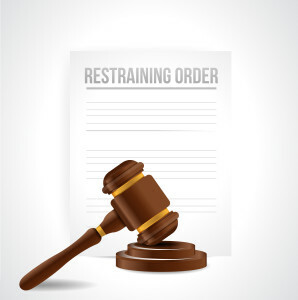 This is known as a Temporary Restraining Order (or a “TRO”), which is issued by a Family Court judge and which also prevents the defendant from having any contact with the alleged victim. A violation of this TRO will result in criminal charges for contempt. After a TRO is issued, the judge will set down a final hearing date to determine if a Final Restraining Order (known as an “FRO”) should issue. The judge will listen to testimony from both sides, any witnesses involved, and examine all evidence (text messages, emails, photographs, etc.) before deciding whether to grant the FRO. You should have an attorney represent you at this hearing. If you or a loved one is facing a restraining order in Broward County, contact Jay Arnesen’s Fort Lauderdale offices anytime at 754-581-8782 for a free initial consultation.